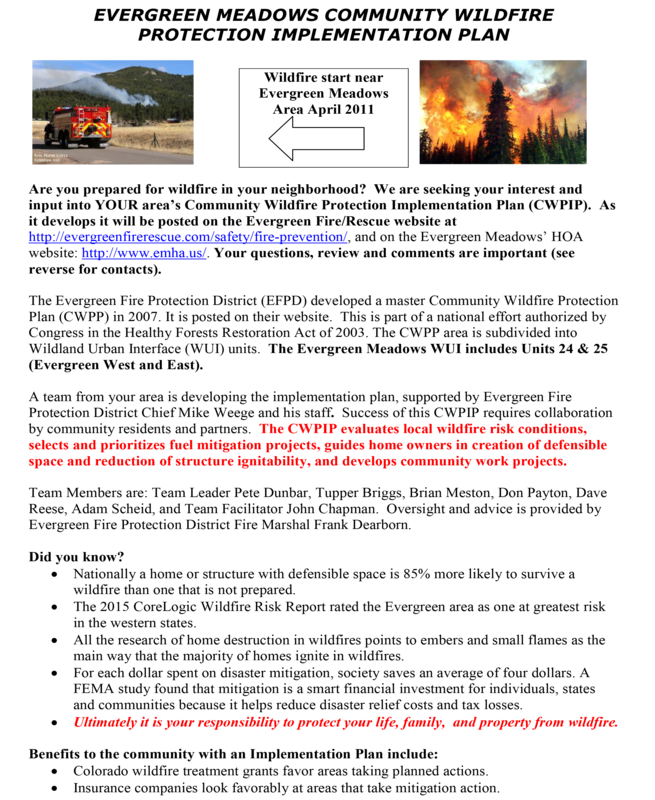 The Evergreen Fire Protection District (EFPD) has developed a Community Wildfire Protection Plan (CWPP). Details are provided in the following document - CWPIP-EVMDOWS HOA Handout - as well as below. As additional CWPP material is received, this web page will be updated. In the meantime, all questions can be directed to the contact names at the bottom of this presentation or through the EMHA board by Email at board@emha.us .